Dairy DryLic® SPL is Nutritionally Engineered® for non-lactating dairy cattle. It is essential for maintenance during pregnancy and preparation for calving. This unique supplement is second to none when compared to other low-moisture blocks. This block is the product of a state-of-the-art patented process that provides a unique 24-hour feeding system. Dairy DryLic® SPL is an exceptionally dense block that will give you the most for your money. 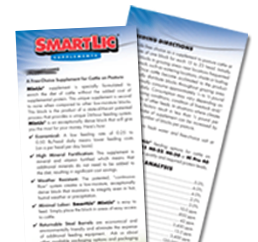 Minimal Labor: SmartLic® Dairy DryLic® SPL is easy to feed. Simply place the block in areas of easy access to cattle. Dairy DryLic® SPL is formulated with a negative DCAD (dietary cation-anion difference). 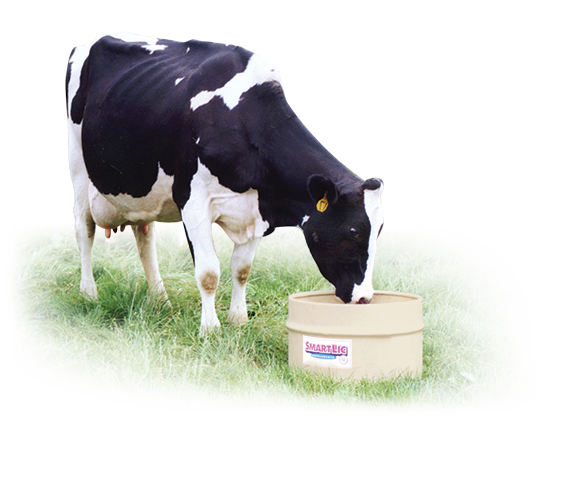 DCAD in the dry cow diet is known to help mobilize bone calcium and increase serum calcium. This is a fairly new approach to reducing the incidence of milk fever. 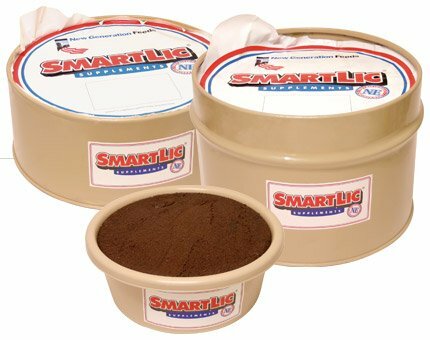 Include SmartLic® NE-30 in your Replacement Heifer program. SmartLic® NE-30 is Nutritionally Engineered® supplement that provides essential nutrients to support growth, reproductive performance and forage utilization.